DULUTH, Ga., Jan 05, 2012 (BUSINESS WIRE) -- nasair, the first low-fare airline in the Kingdom of Saudi Arabia, is making it simpler for customers to manage their travel plans on the go with the launch of a mobile-optimized website designed and hosted by NCR Corporation NCR -0.78% , the leading provider of self-service travel solutions. nasair flyers can now access www.flynas.com to reserve and purchase tickets, update reservation details and inquire about flight schedules. 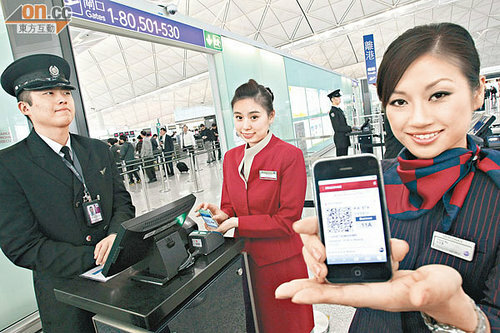 Future plans include mobile check-in and the text delivery of mobile boarding passes through SMS, as well as web apps for iPhone, BlackBerry and Android mobile devices. According to Frost & Sullivan, Saudi Arabia is one of the largest mobile markets in the Gulf region, with 51.6 million mobile subscribers and penetration of 186 percent. "Delivering greater convenience to our valued customers is among our highest priorities," said Abdullah Al-Ghanim, Chief of Information Technology at nasair's holding company, NAS Holding. "Extending mobile access to nasair supports that commitment by allowing our travelers to more easily connect with us anytime, anywhere." nasair selected NCR for its global expertise in designing, delivering and supporting multi-channel self-service travel solutions. "As the demand for global travel steadily grows, so does the challenge of delivering the seamless control and convenience consumers expect throughout their journey," said Tyler Craig, Vice President and General Manager, NCR Travel. "NCR is committed to helping nasair and other leading carriers worldwide employ self-service to deliver an exceptional passenger experience." 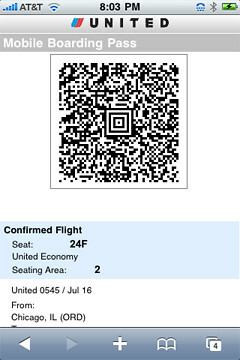 NCR is the leader in mobile check-in, issuing more than 1.6 million mobile boarding passes per month, as well as the industry leader in Common Use Self-Service (CUSS) airline kiosks. Launched as the first low fare airline in the Kingdom of Saudi Arabia in 2007, nasair has grown rapidly with daily flights to popular destinations throughout the Middle East, North Africa and South Asia. The 15 aircraft Airbus and Embraer fleet carries passengers in complete comfort on over 500 flights a week to 30 destinations within and outside Saudi Arabia. NCR Corporation NCR -0.78% is a global technology company leading how the world connects, interacts and transacts with business. NCR's assisted- and self-service solutions and comprehensive support services address the needs of retail, financial, travel, hospitality, entertainment, gaming, public sector, telecom carrier and equipment organizations in more than 100 countries. NCR ( www.ncr.com ) is headquartered in Duluth, Georgia.